Target Test Prep vs EmpowerGMAT? 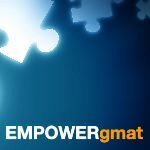 I am looking for some advice on how to continue my GMAT journey. 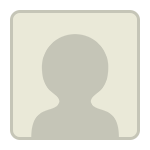 I have taken the GMAT 3 times now (scoring 650/680/660). The first time, I only used Kaplan test prep. After that, I used Veritas. I thought Veritas was super helpful for understanding tricks and tips on the quant section, but my overall score actually went down this last time I took the test (part of it could be nerves and an earlier test time). I have issues in the quant section with timing and overall nervousness. On my practice tests, however, I have been scoring 720+. I need to get at least 720/730 to get into top schools, so I am looking into some other test prep material that could potentially get me over the plateau that I am at. I would appreciate unbiased opinions from students that have taken either of these programs. I am not looking to retake a whole course (such as relearn the basics), so just something that will help me boost my score in quant. Please let me know if anyone has experience with either of these programs and what your thoughts are! In addition to checking out reviews and shared GMAT experiences, feel free to sign up for the TTP full-access 5-day trial, to get a better feel for the course. Also, you may find it helpful to read the following garticles about How to Eliminate GMAT Test-Day Anxiety and Timing Strategies For a Higher GMAT Quant Score.